OK, so it’s not just CNAs. It’s also medical assistants, medical billing and coding professionals and the physicians they all support that are working overtime to address the seeming increase in outbreaks of diseases like West Nile. The Huffington Post this week that this season’s West Nile outbreak is the worst so far thanks to the warm winter and hot summer which favors the explosion of mosquito populations (which carry and transmit the disease). However, it is not just West Nile. This year has seen a resurgence of the Ebola virus on the African continent as well as other illnesses such as the food borne salmonella virus. Whooping cough also seems to be making something of a resurgence. It seems likely that a pandemic is not outside the realm of possibility given the nature and number of diseases at work today. Whether the rise (or resurgence) of these diseases has to do with climate change or anti-innoculation movements, the fact is, medical offices all over are seeing an upswing in patient volume. This means more work for certified nursing assistants, medical assistants, medical coding and billing staff and all manner of medical professionals. I wonder if there’s a vaccine for West Nile out in the market? 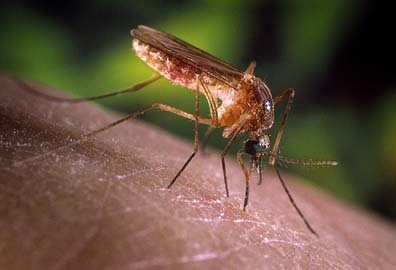 From what I hear, prevention is the only solution for West Nile.